Amazon is now a key player in the consumer electronics industry, with products spanning eBook readers, tablets, set-top boxes, and of course, smart speakers. That last category is the latest one that Amazon is solely responsible for popularizing, and the smart speaker that started it all is on sale right now at its lowest price of the year so far. 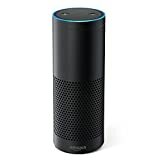 The bad news is that the Amazon Echo discount you can enjoy right now is part of a Mother’s Day sale, and tomorrow is Mother’s Day 2017. That means today is your last day to take advantage of this special deal, because the price goes back up to $180 beginning tomorrow. And if you want to spend even less money, the refurbished Amazon Echo is on sale right now, too.